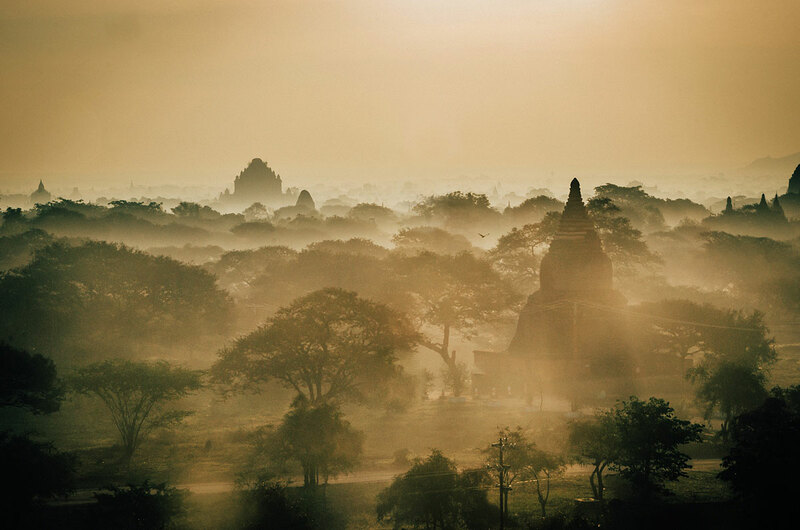 Bagan is an incredible archaeological site, in the class of the Giza Pyramids, Angkor Wat and Machu Picchu, but is not nearly as well known. 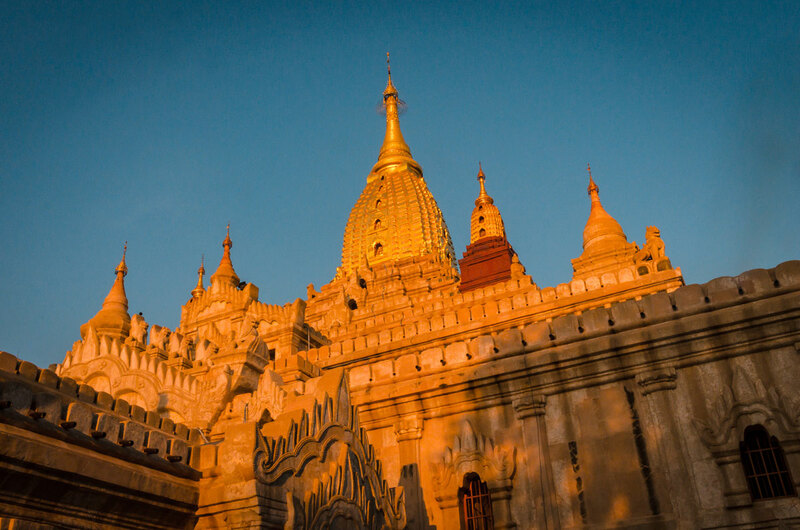 In a flat plain of approximately 30 square miles (78 square kilometers) on the banks of the Ayeyarwady (Irrawaddy) River, there are over 2,000 Buddhist temples, pagodas, stupas, monuments and other structures. While this is an incredible number, there were over 10,000 built between AD 1057 and 1287 during the first Myanmar kingdom. The number has reduced over the years primarily because of ransacking by invading armies and natural disasters, especially earthquakes. Bagan is one of the two most popular tourist sites in Myanmar (the other being Inle Lake, see http://exploringed.com/myanmar-part-3-inle-lake/). 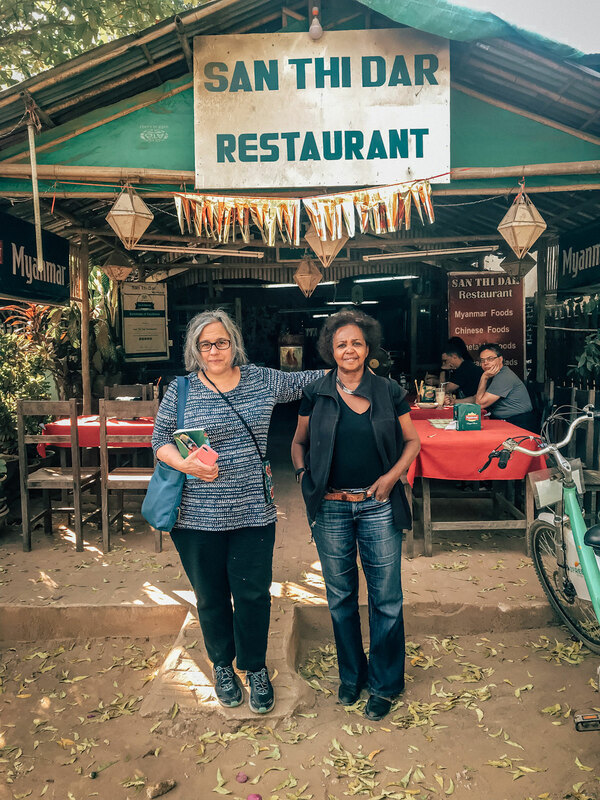 This is the final installment recounting the trip of Caitlin, Peter, Khadija and me to Myanmar it January 2018. 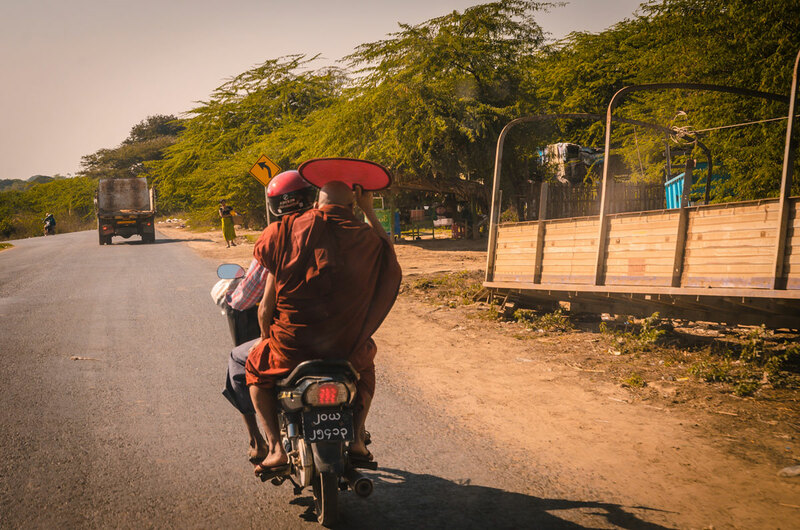 We travelled four hours from Mandalay to Bagan on a two-lane highway through countryside and small towns to spend four days and three nights here. There are three main parts of Bagan: Old Bagan, Nyaung U, and New Bagan. We stayed in Old Bagan, which is partially surrounded by a wall and encompasses most of the archaeological district. 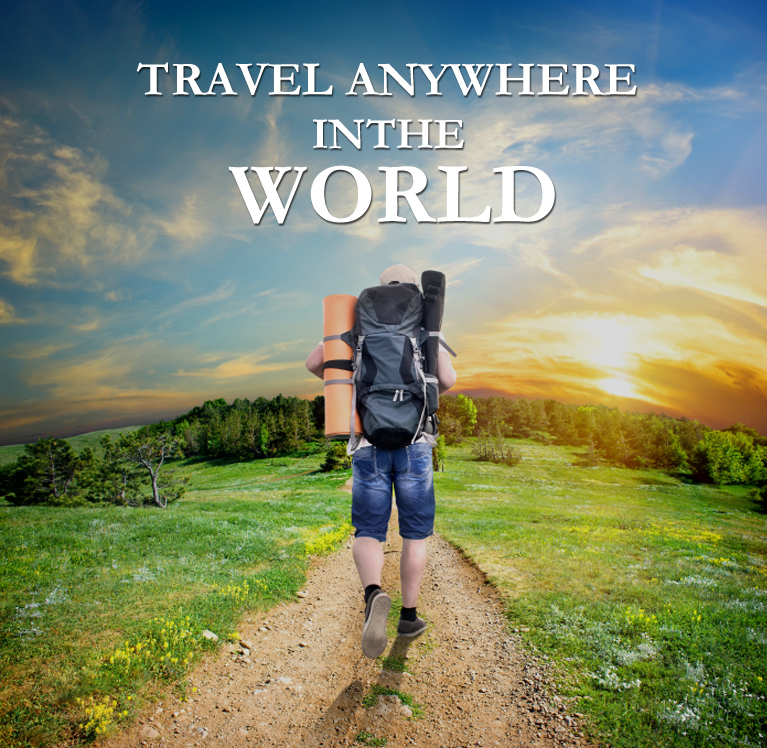 It is the most convenient but has the most expensive lodging. Nyaung U has part of the archaeological district and a village with some colonial architecture and a market. As most travelers come from Mandalay, this is the first place they see when arriving in the area. 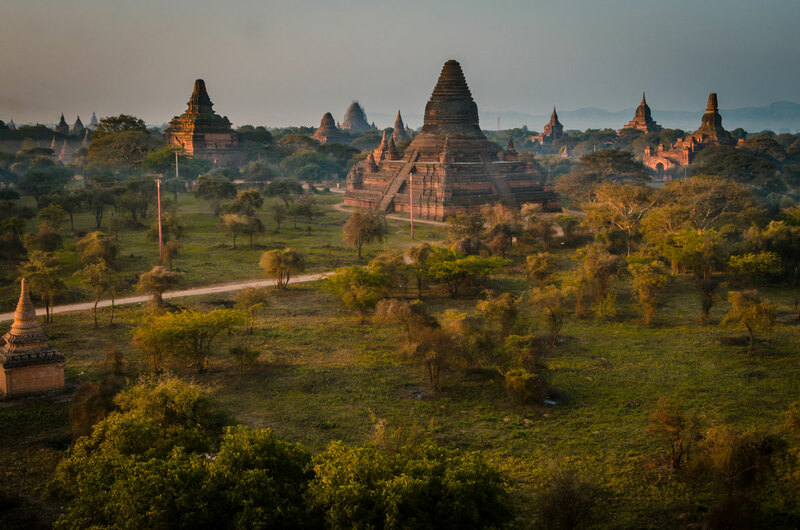 It has more bargain accommodations than Old Bagan and is a short taxi ride to the main sites. 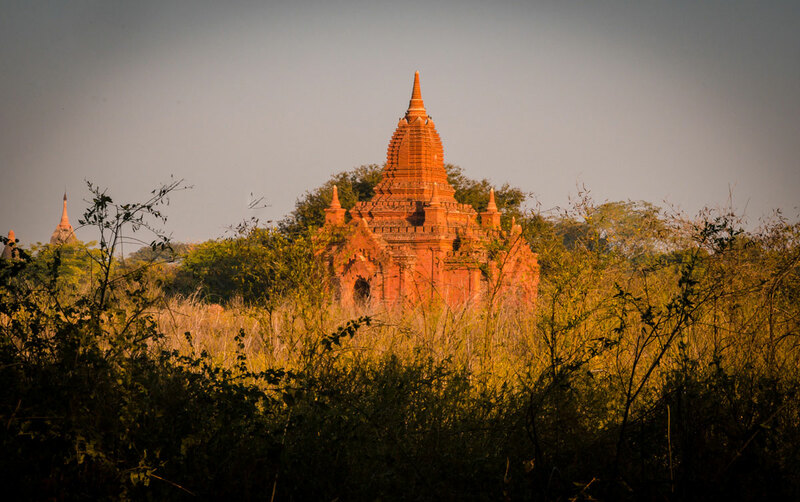 New Bagan is the most remote of the three districts, all residential and has the least expensive lodging. It is virtually impossible to visit all the Buddhist structures. Many are relatively small and of little interest. Our approach was to walk or taxi to the notable ones. For the rest, we walked or biked by to soak up the ambiance. We took midday breaks to rest and have relief from the hot weather. At night, we went to the hotel restaurant or a local one. 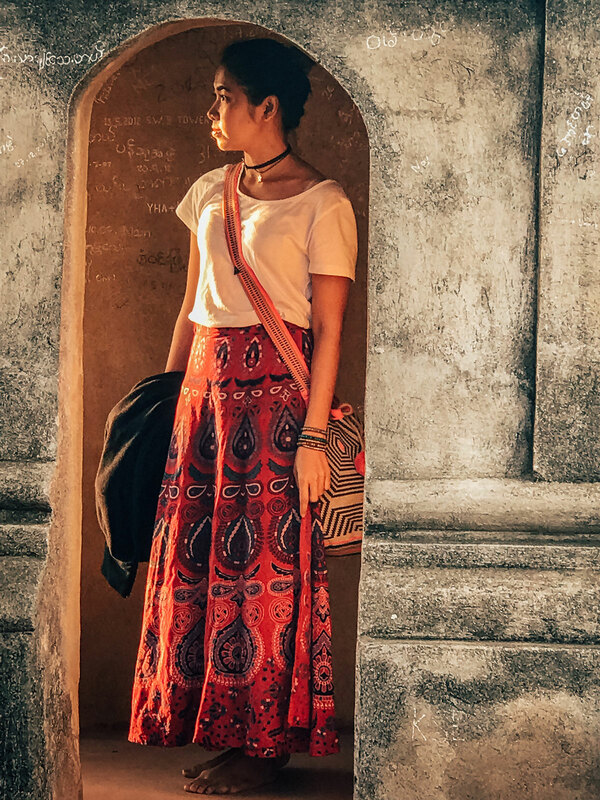 Unlike Siem Reap in Cambodia (where Angkor Wat is) and Luang Prabang in Laos (both with rich archaeological and cultural attractions) Bagan is not a party town. 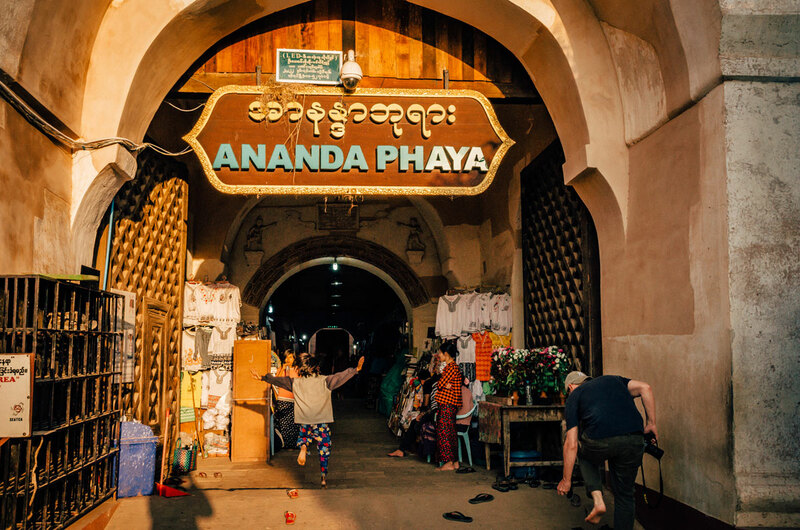 East of the Old Bagan wall sits the famous Ananda Phaya. 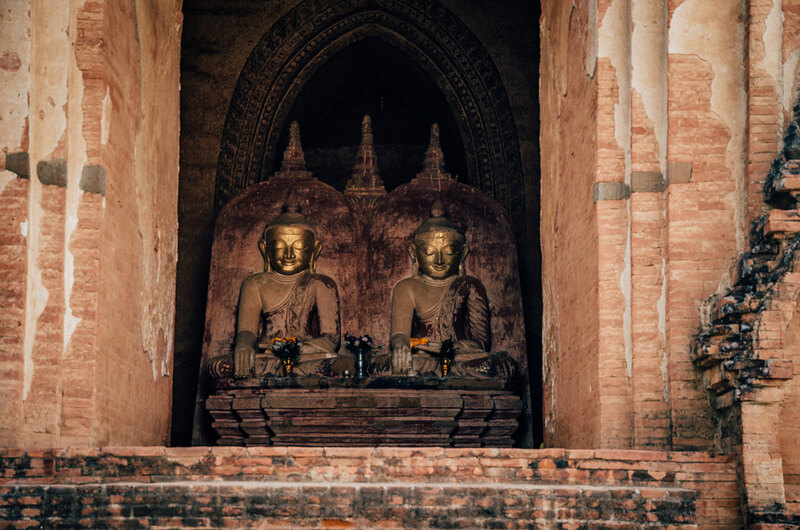 There are various translations of the temple and monastery’s name, but one is “remains eternally” (in Bagan). Ananda is a popular name for Buddhists and Hindus and means blessed. 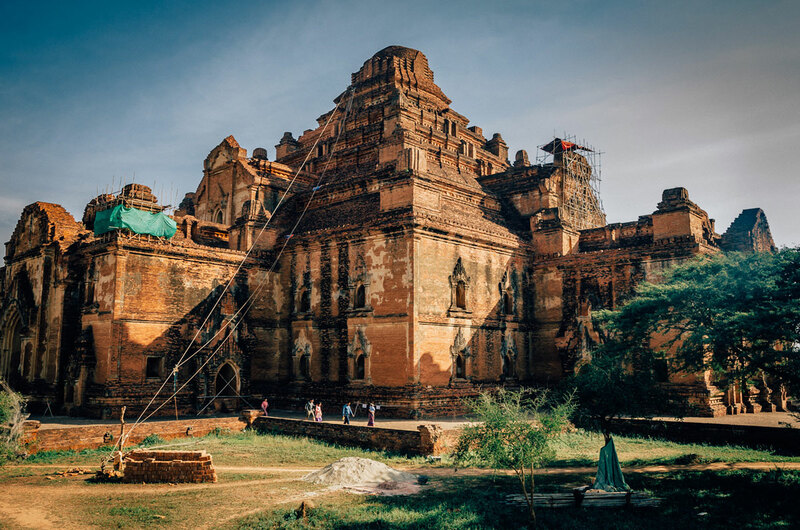 It was one of the first temples to be built in Bagan. The architectural highlight is the gilded tower, called a sikhara. The sikhara can be seen from miles away. After an earthquake in 1975 damaged the complex. it has been painstakingly reconstructed and preserved. Although large and with an immense tower, the structure is a single story and a fusion of Mon and Indian architectural styles. 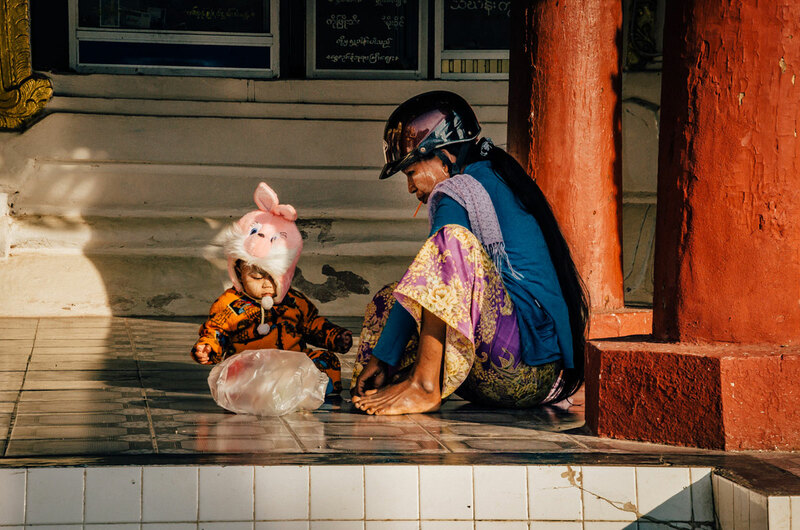 (Mons are an ethnic minority in Myanmar and Thailand. They and were responsible for the spread of Theravada Buddhism in Indochina and a significant influence on the culture of Myanmar.) To enter, we had to take off our shoes (as required for almost all structures, so good to have footwear that is easy to slip on and off). Then we proceeded through a tunnel with souvenir vendors. The temple complex houses many images of Buddha, including four tall ones (31 feet / 9.5 meters) sitting on thrones (8 feet / 2.4 meters high), facing north, south, east or west. South-facing, the Kassapa image is the twenty-seventh of the twenty-nine named Buddhas, and is said to be original. I felt a similar awe in the presence of this monumental statue as I had in Luxor and Karnak in Egypt. 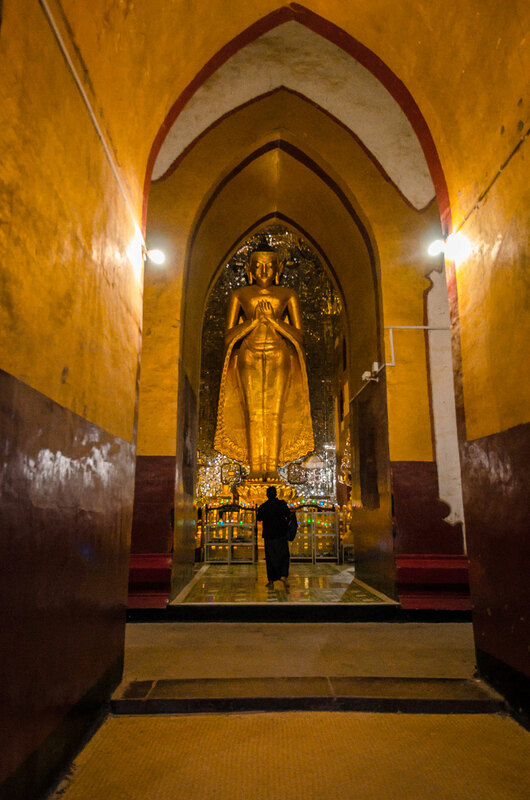 There are many other Buddha statues and murals depicting the life of Buddha. We spent about an hour here but should have stayed for another. On the edge of Nyaung U is the Shwezigon Pagoda (or Paya). 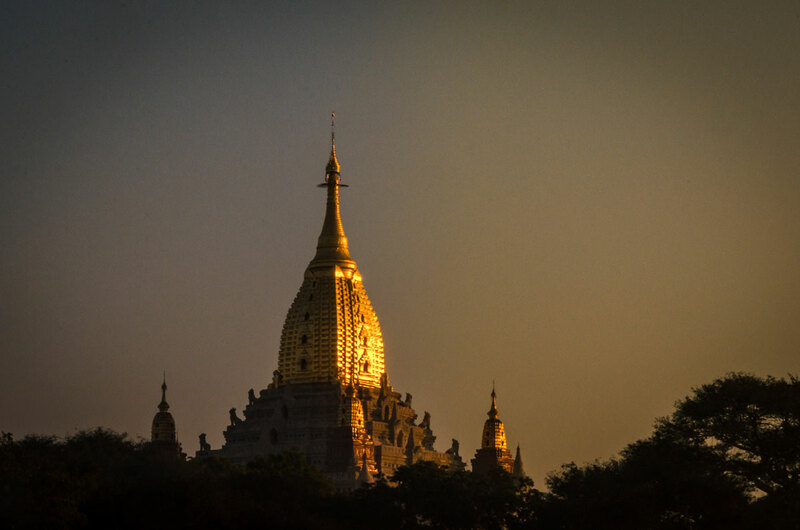 Here pagoda means the massive bell-shaped stupa on a base of terraces rising in the form of a pyramid. What stands out is the prodigious amount of gold plating everywhere, an artistic Fort Knox of Mon architectural style. The gold that erodes from rain is captured through gutters and a drainage system, in order to be reused. Gold is constantly applied, maintaining the amazing vibrancy. 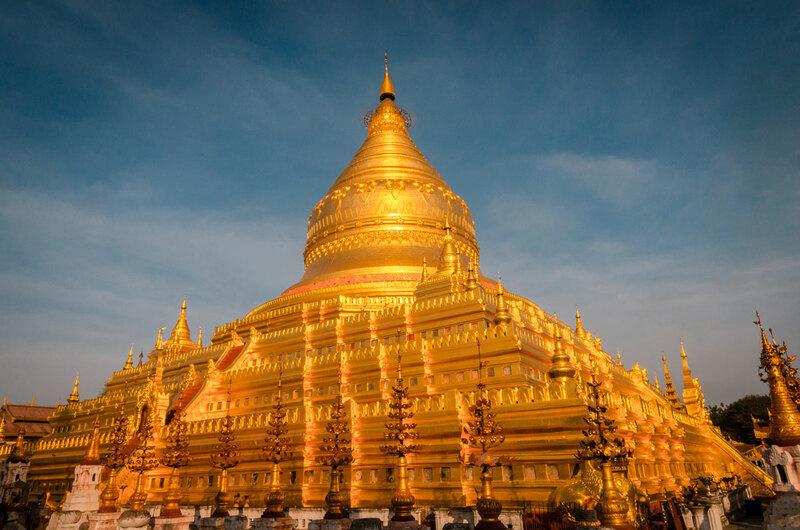 It has been the inspiration for the design of many other pagodas across Myanmar. 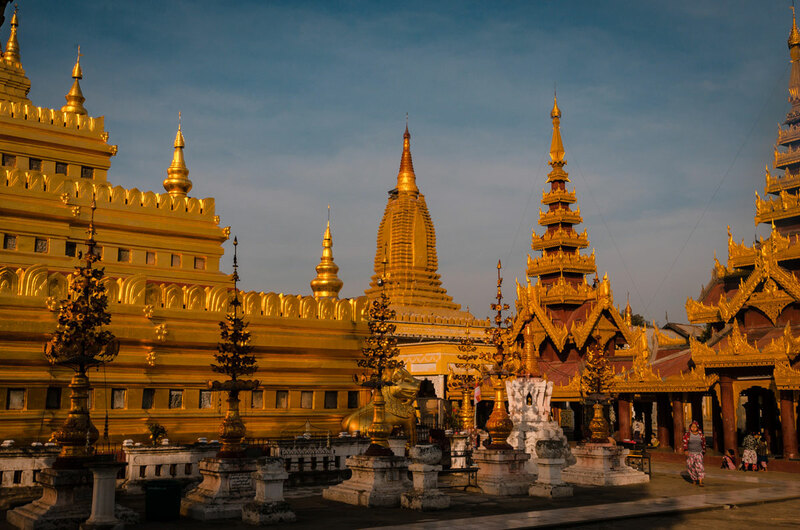 This and Shwedagon Pagoda in Yangon are the most famous and eye-catching Buddhist complexes in Myanmar. Throughout the complex are numerous shrines and rest-houses (zayats), some old but not original. As you would expect, there are statues of Buddha, saints and others everywhere, some quite impressive. My favorite was the one with an umbrella. Like all religious places we visited in Myanmar, they are not just for tourists, but a place of worship and everyday life. 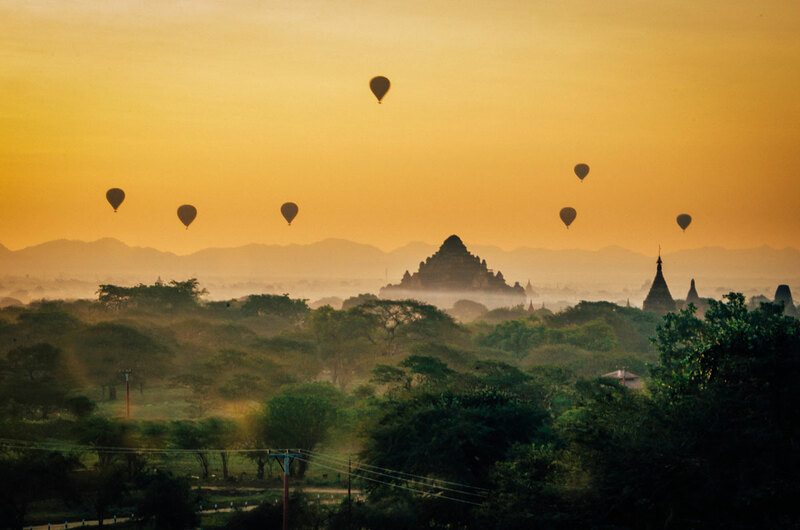 The quintessential image of Bagan is hot air balloons floating over the monuments during sunrise. Balloons rides are available from October to April, costing $300 / person or more. We did not participate because of safety reasons and the high cost but we did not want to miss the photo opportunity. 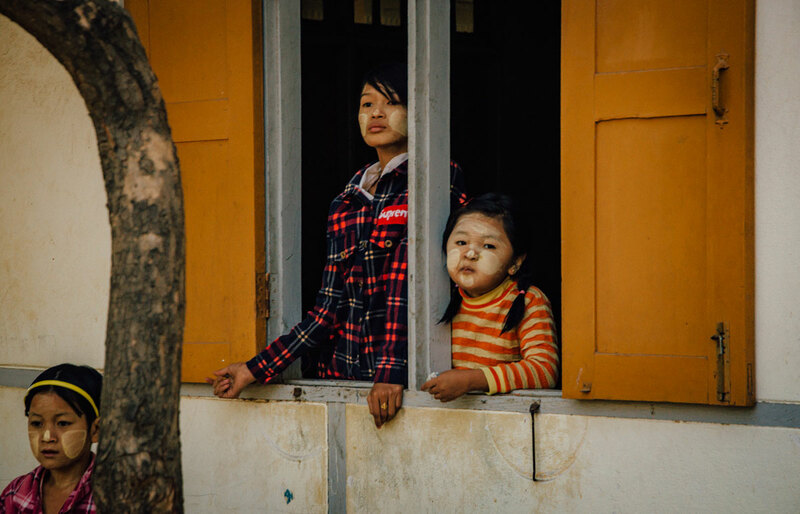 For two mornings, Peter and I went to Shwesandaw Pagoda along with a few hundred people, including Caitlin and Khadija on the first day. We arrived before dawn, about 5:30am. We were not the first but were able to get good positions. There are other locations, but this was close to our hotel. Just before the sun rose over the horizon, there was mist over the landscape. As the sun was rising above the horizon, balloons floated across the sky. As the sun continued to rise, it casted soft light on the monuments. While on the pagoda, I saw many interesting people, including this lady. 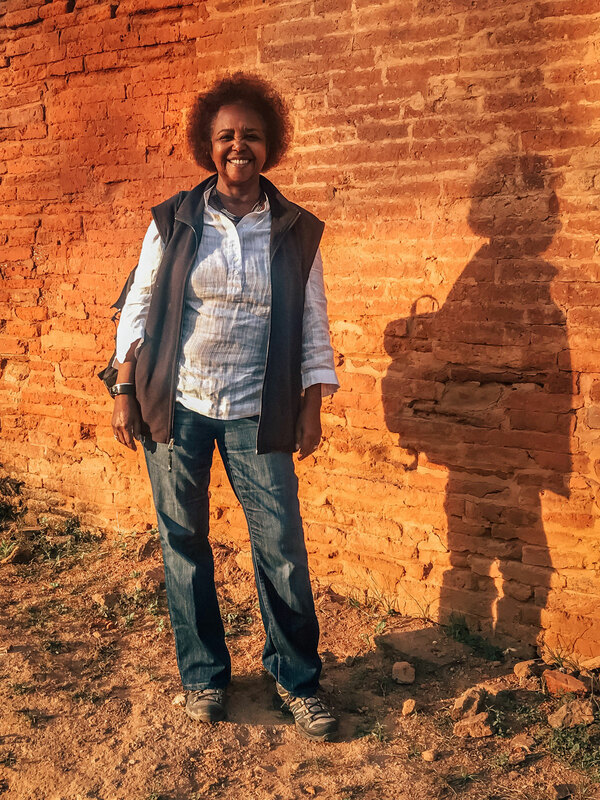 When we descended to the ground, I saw Khadija and her shadow warmly illuminated. · The longer the lens focus, the more “squished” (closer together from front to back) the foreground and background are, which usually is desirable. · It is good to have a monopod or tripod (the latter is difficult to find a place to set up unless you get there early and stake out a spot), in order to have enough light and hold the lens steady (especially for long-focus ones which are more sensitive to camera shake). However, if you take too long of an exposure, the moving balloons will be blurry and sun nondescript. It is an artistic decision whether to have flare (unnatural concentration of light) which often happen when photographing sunrise or sunset. The cause is light rays coming from a bright source (such as the sun) directly hitting the lens. To avoid you can use a lens hood but be careful you do not have unintended “vignetting” which is a reduction of brightness on the periphery. Another way is to remove all lens filters which exacerbate flaring. You can also try to use your hand to block light but in practice it often does not work well. During most sunrises and sunsets, there is a large difference in brightness from the sun to the landscape. The camera can correctly expose one or the other, but not both. The best way to deal with this is a split, neutral density filter. The filter makes part of the scene darker without affecting color. The best type is one which is square and held in a frame attached to the stem of the lens (the other is a round, screw-on type). This gives the ability to adjust the filter to best fit the disparate light intensity. If possible, shoot in RAW format. Depending on how you measure it, it has three to five times the data than JPEG files and can better capture a broader exposure range. However RAW images usually need to be processed with editing software. Closely look at the digital camera display on the back to monitor the images. If one is skilled, the flares may be removed from digital images with editing software. 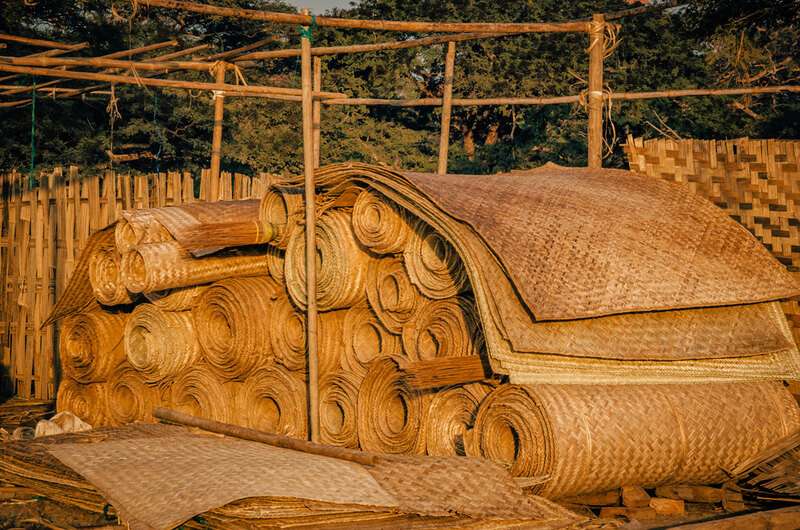 For most folks, going to Bagan costs a lot of money and takes plenty of time. Most often the visitor can only go once in a lifetime. To get the best possible sunrise photo, it is helpful to practice with the equipment and techniques before going there. This temple is the largest single building in Myanmar. It was built to by the “evil” king, Narathu, to atone for his murder of his father and brother to take the throne. The temple is reminiscent of early Egyptian step pyramids in shape and was never completed. Construction of the temple was halted after the murder of King Narathu and the center was filled with debris by workers in order to prevent the evil king’s ghost from leaving the temple. Yet there are corridors and chambers to walk through. Three out of the four Buddha sanctums were also filled with bricks. The remaining western one has two original side-by-side, sitting statues of Gautama and Maitreya (the historical and future Buddhas). Nowhere else in Myanmar has this. 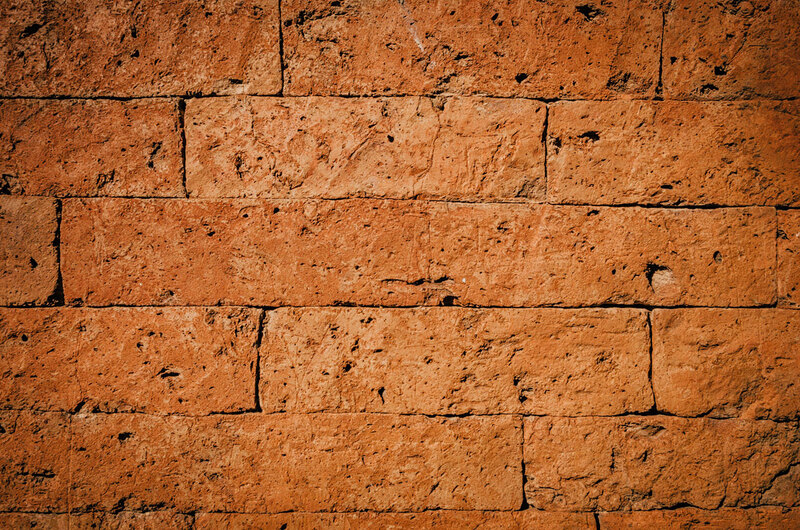 Narathu is also said to have mandated that the mortar-less brickwork fit together so tightly that even a pin couldn’t pass between any two bricks. Workers who failed in this task had their arms chopped off. While this could be apocryphal, the stones are constructed without mortar. I saw other three striking Buddhas. My favorite was the marble one with an unusual face. 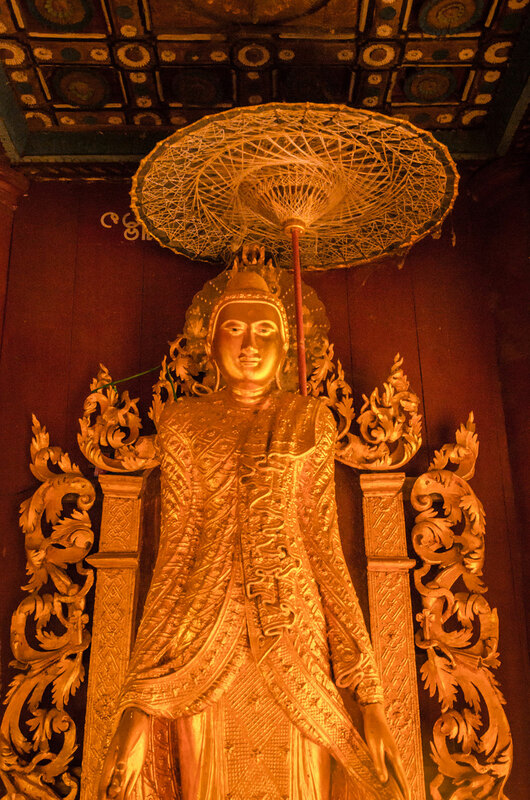 The Manuha temple is one of the oldest ones in Myanmar, named after the king who built it. On one side, there are three giant stucco-sitting-Buddha statues painted in gold. The largest is in the middle and is 46 feet (14 meters) high. The two on each side are 33 feet (10 meters) high. They are hard to see as the space is cramped. They remind me of the “Golden Armour” of Iron Man in the 1960s without the red lips. 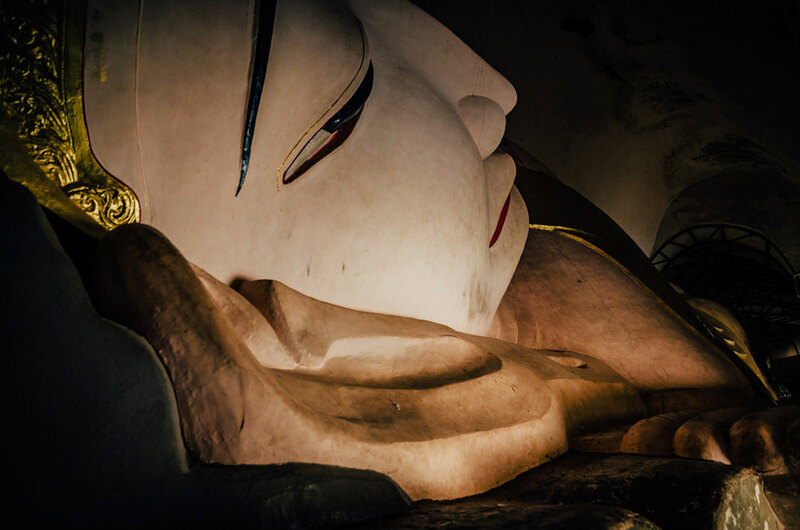 On the other side a 90-foot (27 meters) reclining Buddha stuffed into an even tighter space. Normally these are outside or in open sheds in order to be easily observed, but not here. 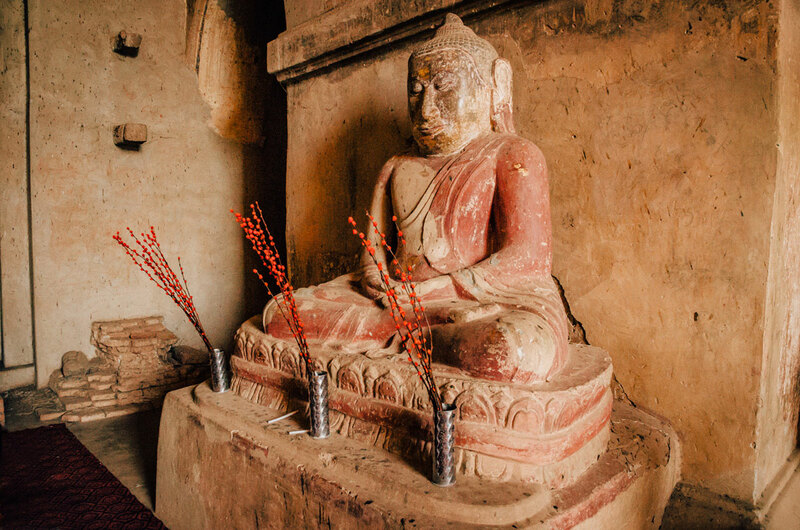 A stone inscription at the temple tells its history and that of the Buddha statues it enshrines. The statues were built first, as King Manuha didn’t have the money to build the temple. He sold a precious jewel for silver and that allowed him to build the first one. On our last morning, Peter and I walked around for about three hours with no destinations. We saw the rhythm of life in the area. We walked by Ananda Temple in the early morning light. We saw this stack of mats, presumably available for sale later in the day. Everywhere we saw the foliage encroaching abandoned monuments. 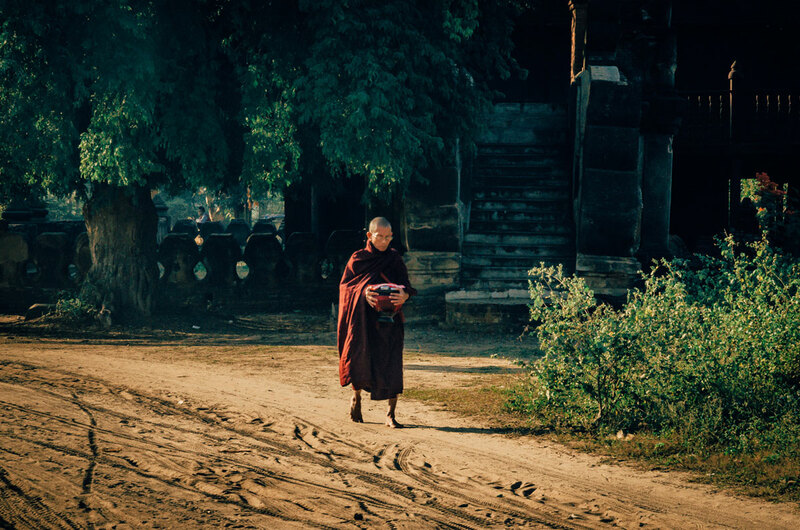 We saw this solitary monk walking down the road. Young students were outside before classes started. 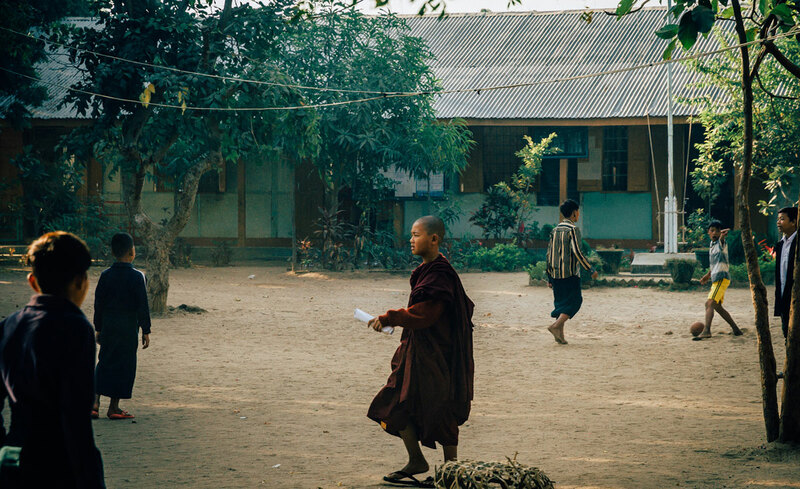 In this country, monks are integrated into society, not cloistered away, as was this novice in the school yard. 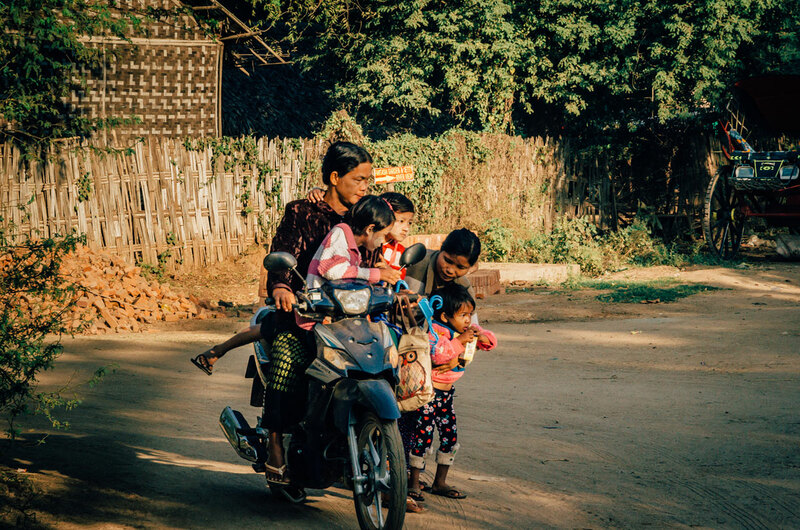 This family overloaded the motorcycle they were traveling on. 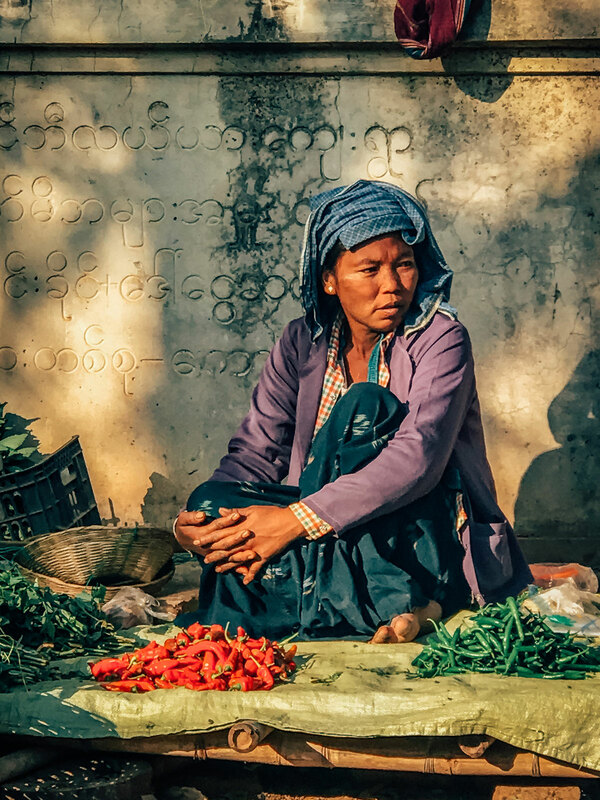 In a small market, we saw the individual food vendors, such as this woman selling peppers. In the same market we saw the adults with their young children, as with this man. 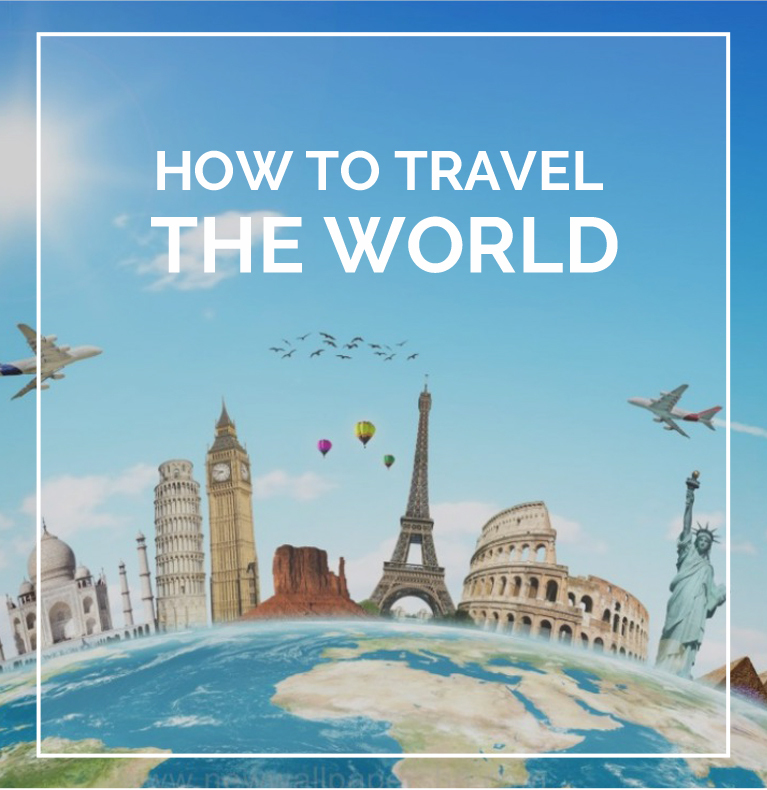 Using a guide is a good idea, as there is so much to see, all with a detailed story. The four of us hired Thet Nang Swe (on the far left in the picture), who was outside our hotel for a half day for $20 and a taxi for $25. He was knowledgeable and friendly. His email is thetgyi.2014ad@gmail.com. In retrospect, I would have spent a half day at just Ananda Temple and Shwezigon Pagoda. In writing this post, I realized that there were several areas of the complexes I did not see and would have liked to. Then I would have spent another half day going to other monuments. 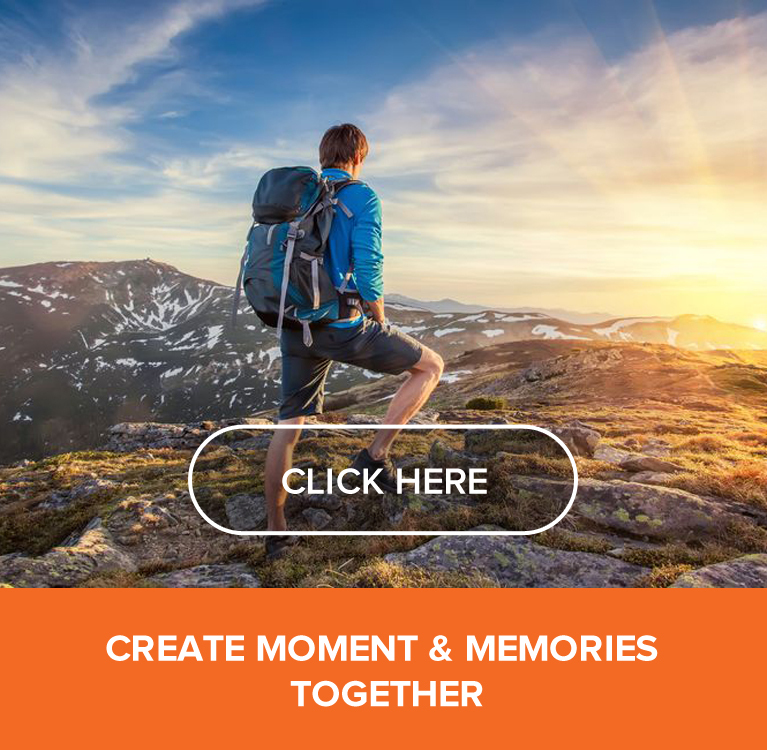 When hiring a guide, be sure they do not include spending an hour or two photographing sunrise or sunset while they wait for you. I generally take good notes when travelling. However, I should have taken even better ones as it was often difficult to determine the buildings in my photos when I came back. Many have similar architecture and names to one new to Myanmar. I spent a lot of time on the internet trying to figure out what building or statue I had photographed and sometimes I was unsuccessful. 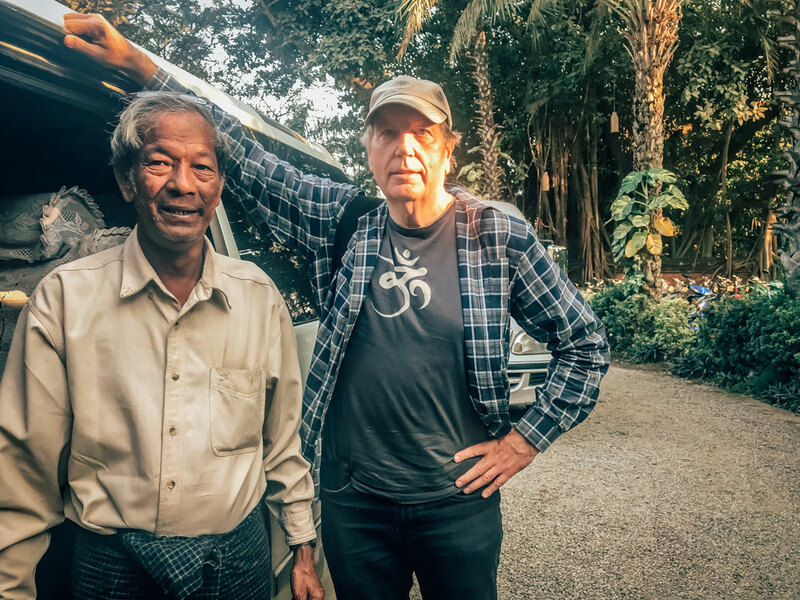 We stayed at The Hotel @ Tharabar Gate in Old Bagan, a few minute-walk to Ananda Phaya. It is a high-end hotel with lavish landscaping, swimming pool and relatively large rooms. Except for Inle Lake, we stayed in midrange hotels or in homestays while trekking. We felt like splurging for our last few nights in Myanmar. By international standards, at $135 per night, it was a good deal. We liked eating lunch by the pool, taking advantage of discounted drinks at happy-hour and enjoying a massage in the spa. This hotel, like most, charged by item to clean clothes, which can add up if you have a mound in the corner. We found a local laundry as a cheaper alternative. We arranged to meet them in the afternoon on the road when we took a taxi to a restaurant. They came on a motorcycle and weighed our clothes with a portable scale. 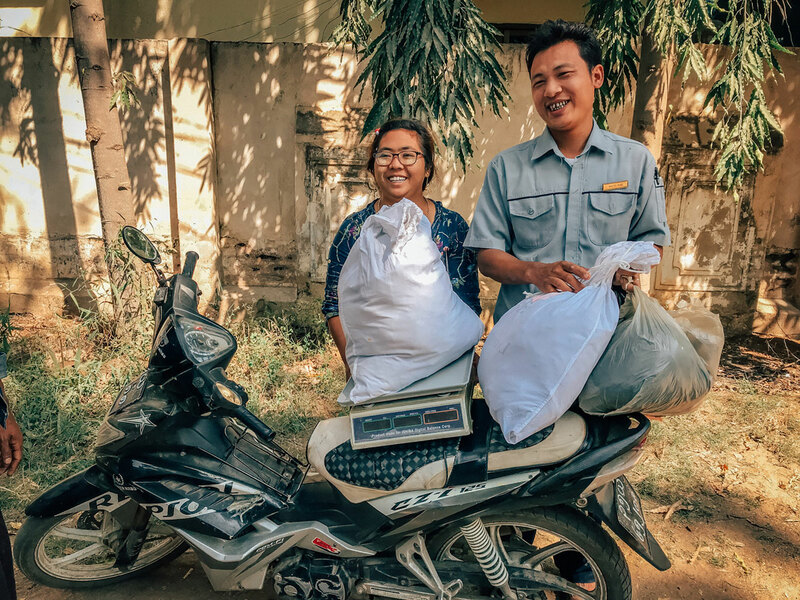 They delivered the clothes to our hotel that night at a charge of K10,000 ($7.50) / bag. 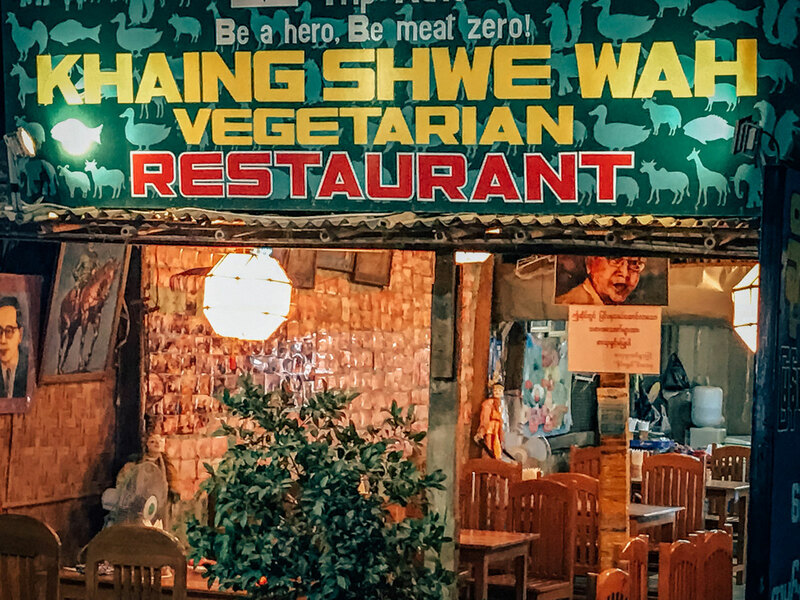 The Khaing Shwe Wah vegetarian restaurant, close to our hotel, was our favorite. We ate there two nights and once for lunch. It is run by a very friendly family and offers a wide range of salads, soups, noodles, curries and other dishes at very reasonable prices. 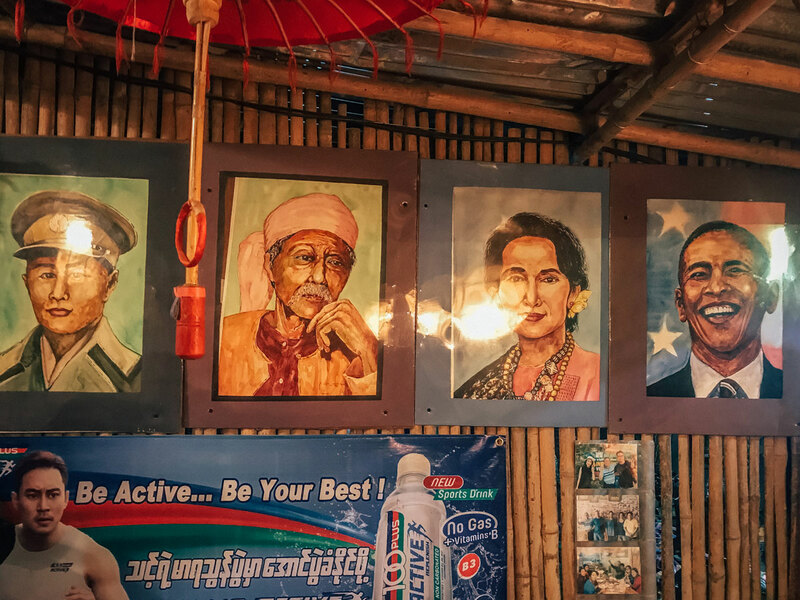 It had framed pictures of famous Myanmarese and international persons on the walls. We also liked the family-run San Thi Dar Restaurant on Bagan Chauk Road between Old Bagan and New Bagan. The menu was mostly vegetarian with large portions. I had a tasty Shan tofu dish. Here’s a picture of Caitlin and Khadija in front. 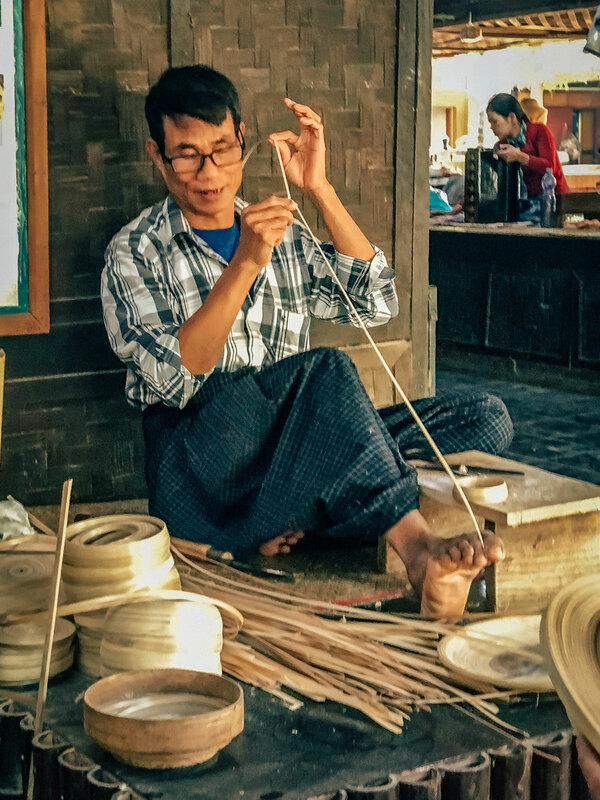 Bagan is famous for its lacquerware. It has many shops selling dishes, bowls, boxes, pots and other items. Even if you do want to buy, they are interesting to browse, and watch demonstrations of how lacquerware is made, starting with slicing bamboo into thin strips. 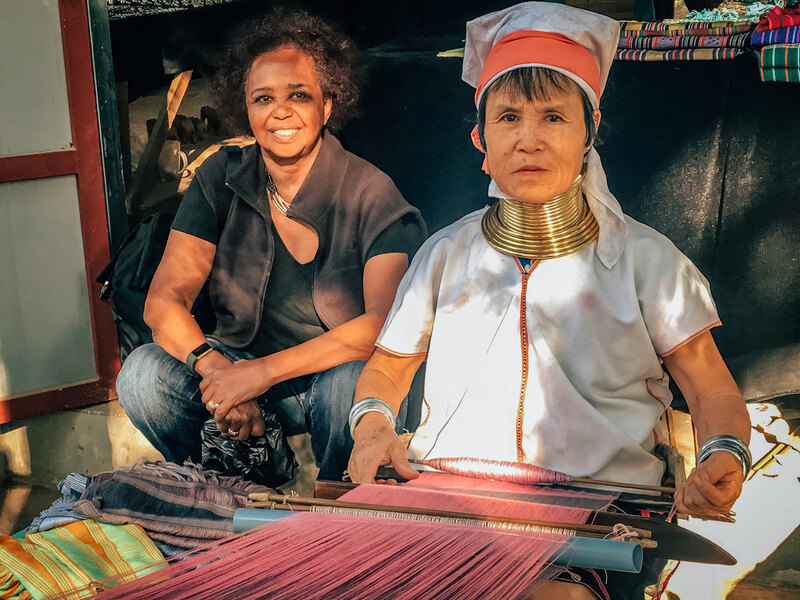 I researched this tradition and found that the women of the Kayan tribe are the ones who wear brass coils around their necks their entire lives. This practice lengthens the neck and is considered beautiful. 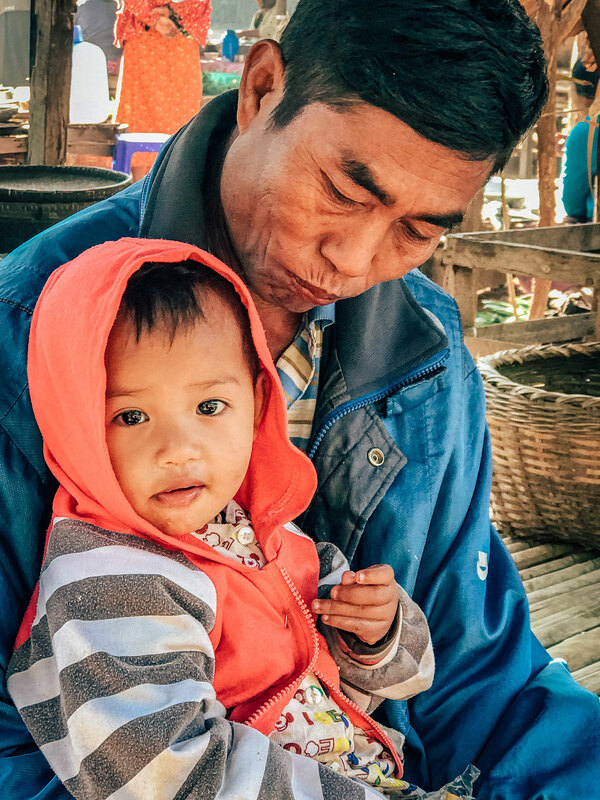 They live in the Shan State, many by the border of Thailand. 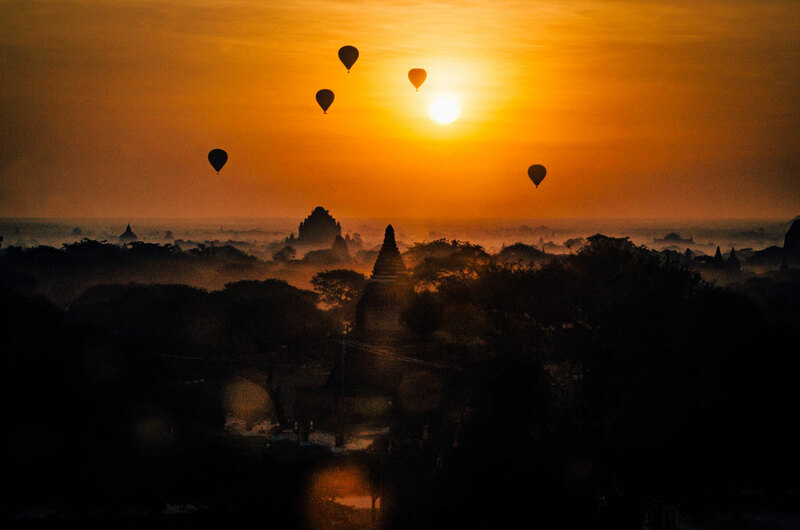 We did not want to miss the memorable Bagan sunset. Peter and I went to Shwe Leik Too Temple and climbed up the red stone to watch it. 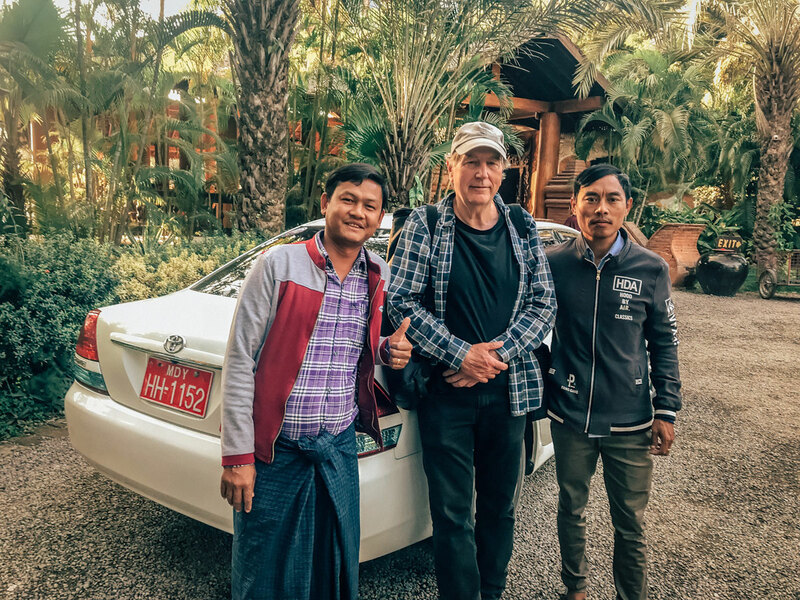 After three intense weeks exploring Myanmar, Khadija and I split with Peter and Caitlin who spent a few days on the beach on the west coast of Myanmar. Our next stop was Siem Reap, home of Angkor Wat. 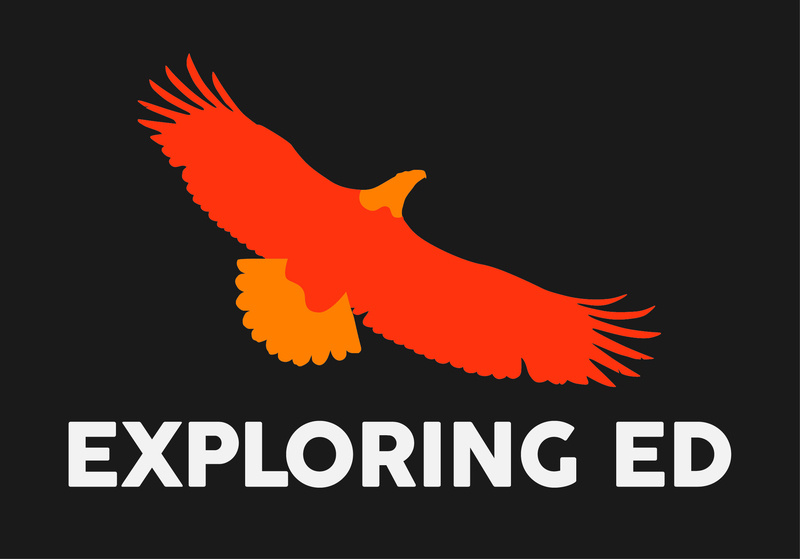 See the next post on this fascinating visit.